AirBnB Has a New Vacation Experience: Running Your Own Bookstore! With the change of season and the weather becoming colder, the birds, and many hopeful vacationers, are migrating South for warmer weather. How boring! Let’s shake things up and go North, and what perfect timing for the announcement of a new Airbnb experience in Wigtown, Scotland: running a bookstore for a whole week! The place is called ‘The Open Book’ and the idea came from Los Angeles writer and filmmaker Jessica Fox. And boy was Jessica right! Dozens upon dozens of people have flocked to ‘The Open Book’ from all across the world, bringing window displays, decorations, and novel ideas to add their own flare toward running the store. That could be you in that picture! So if you’ve ever dreamed of running your own charming little bookstore, here’s your chance! ‘The Open Book’ is a very quaint place to stay. Just take a look! It’s a little dark of a photo, but this a very cozy living room! | Image via Airbnb. The Open Book also comes with its own kitchen. Very quaint! | Image via Airbnb. 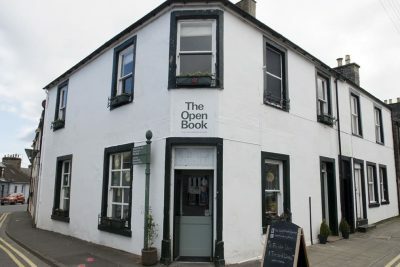 As a bonus, the bed and breakfast bookstore is located in the serene town of Wigtown. There you’ll be embraced by a beautiful array of calming landscapes, rugged coastlines, and stirring forests and woodlands. On top of that, Wigtown is also a historic vacation spot as it was settled in over 1000 years ago and currently still has buildings dating from previous centuries. It was also designated as Scotland’s National Book Town back in the late 90s, and has dozens of second-hand bookshops and various book-related events, including their annual Book Festival. That all definitely sounds like a book-lovers dream vacation to me! 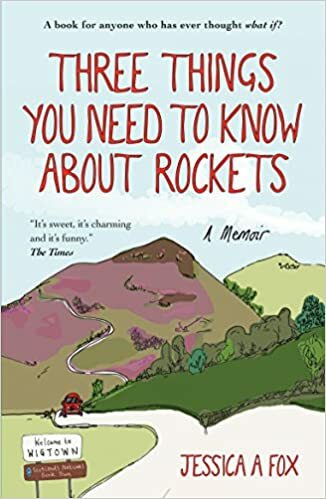 If you’re not ready to pack your bags just yet, but what to hear more about what it’s like to run a second-hand bookstore, check out Jessica Fox’s new memoir, Three Things You Need To Know About Rockets. Image via Marble Arc Press. Check out more details on booking your stay at The Open Book through Airbnb.